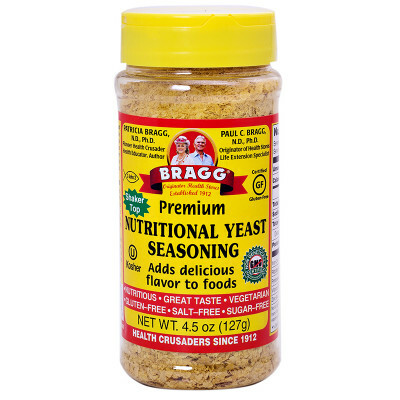 With a delicious cheesey flavour packed with nutrition, Bragg Premium Nutritional Yeast is both a health boost and versatile culinary ingredient. It is most commonly known as a vegan-friendly substitute for cheeses similar to parmesan, used to sprinkle on soups, salads, pasta, and popcorn. ultimate healthy seasoning. Subtle but very tasty. A bit pricey but it is fortified with B12 which I like. Good flavour, colour and consistency. Bulk purchase option would be nice. This yeast comes with excellent flavor, my families love it. I want to get some more but already out of stock. This has got to be the nicest nootch on the Market!